Goliath represents Newsmith Stainless in Ireland, Newsmith are the leading manufacturer of a wide range of Bin Washers for the automatic cleaning of a wide variety of wheeled bins, eurobins and vessels used in the food manufacturing industries. 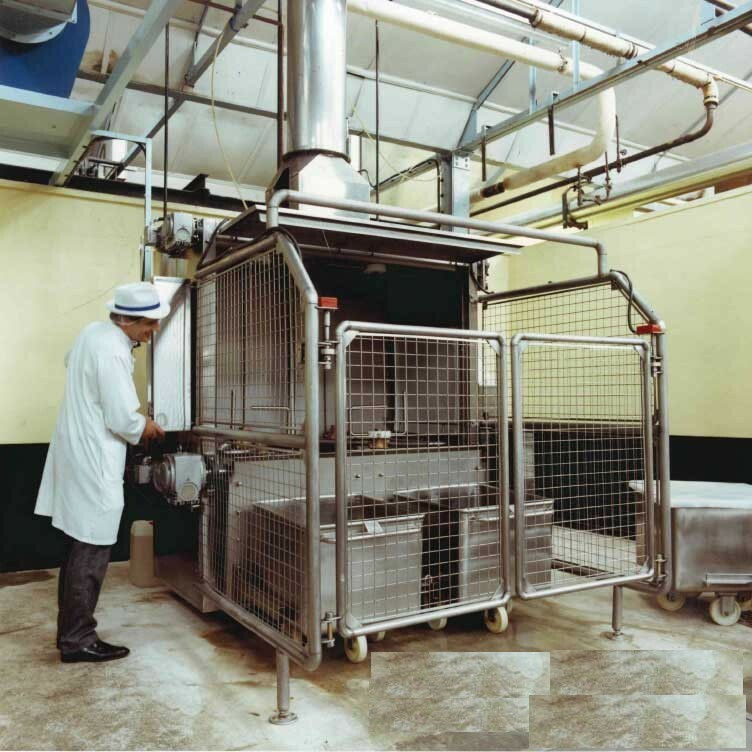 Newsmith also manufacture machines to clean bins used in hospitals and similar facilities as well as vessels used in pharmacutical manufacture. The Typhoon bin washer is specifically designed to wash all types of large Food and Waste Containers thoroughly, efficiently and economically. An unrivalled, intense jet cleaning performance. 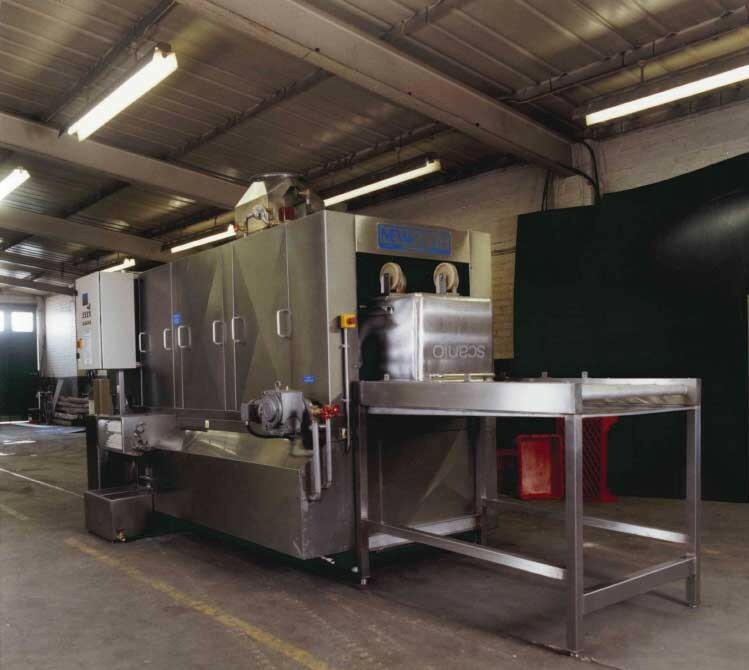 The Newsmith V Mag bin washer is an inline conveyorised V-Mag bin washing machine for the high speed cleaning and sanitising of V Mag bins used in food manufacture. 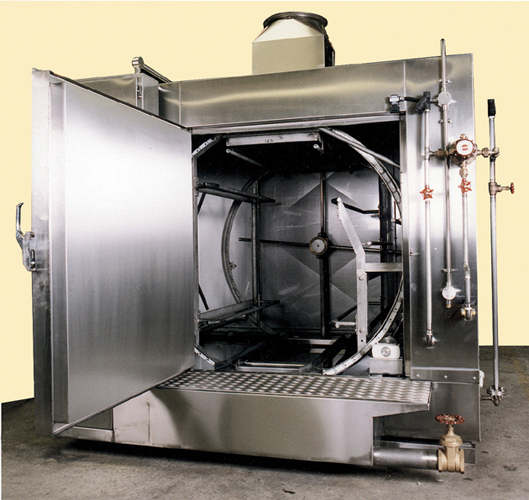 Fully automatic feed and discharge systems are available for the Newsmith V-mag washing machine . Silver Series inline conveyorised eurobin washing machine for the high speed cleaning and sanitising of euro bins used in food manufacture. 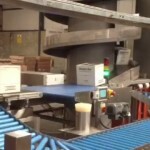 Fully automatic feed and discharge systems are available.